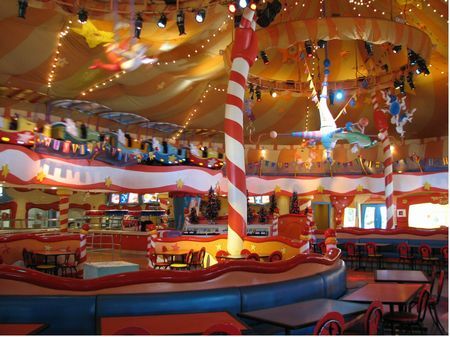 Circus McGurkus Cafe Stoopendous is a counter service restaurant in Seuss Landing at Universal's Islands of Adventure. You can do better. Located under a circus tent, this large cafeteria-style restaurant serves fried chicken, cheeseburgers, chicken sandwiches, and individual-sized pizzas, for $7-9.